While reminiscent of their debut Face Skull Spirit, Molecular Clock ramps everything up to unforeseen levels of grandeur: bigger crescendos, more radical departures from the familiar textures in music. There are several "movements" on each of its four sides, which cover a full spectrum ranging from "comfortably numb" to "bold and triumphant." And due to it's fuzzed-out long-play medium it stays for you for a little while, even after the tape has rolled to a stop. It's inspirational more than anything. 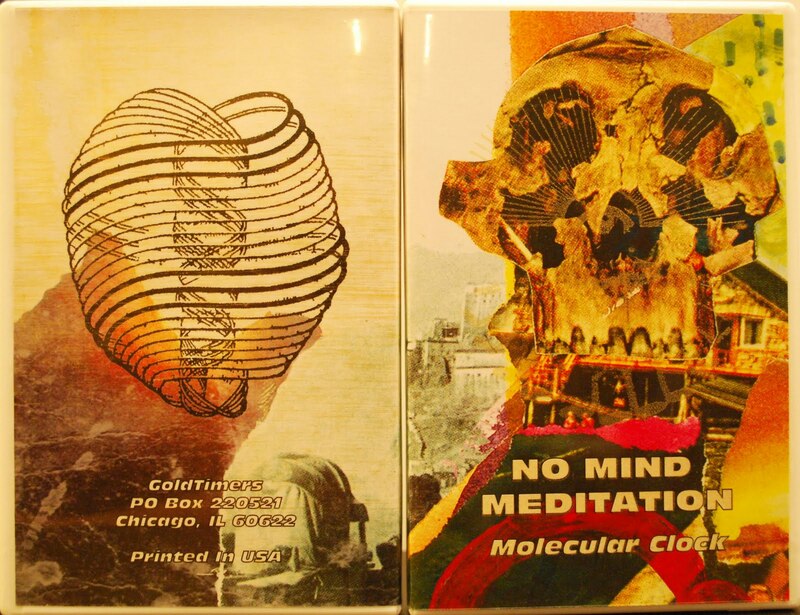 This box set was sent to us by Goldtimers Tapes, packaged in a lovely two-cassette folder with a download card and a hand-silkscreened book of artwork. 50 copies exist.